Stain samples shown are for reference purposes only. It is recommended that you order a sample. To match the finish of a discontinued stain, please contact us. DISCLAIMER: The colors shown above are for reference purposes ONLY and have been reproduced by the stain manufacturer using digital production techniques. Actual appearance on the finished product can vary due to factors such as variations in the wood (ie: variations in wood grain, moisture content, etc...) as well as variations in the way your monitor may display these images. 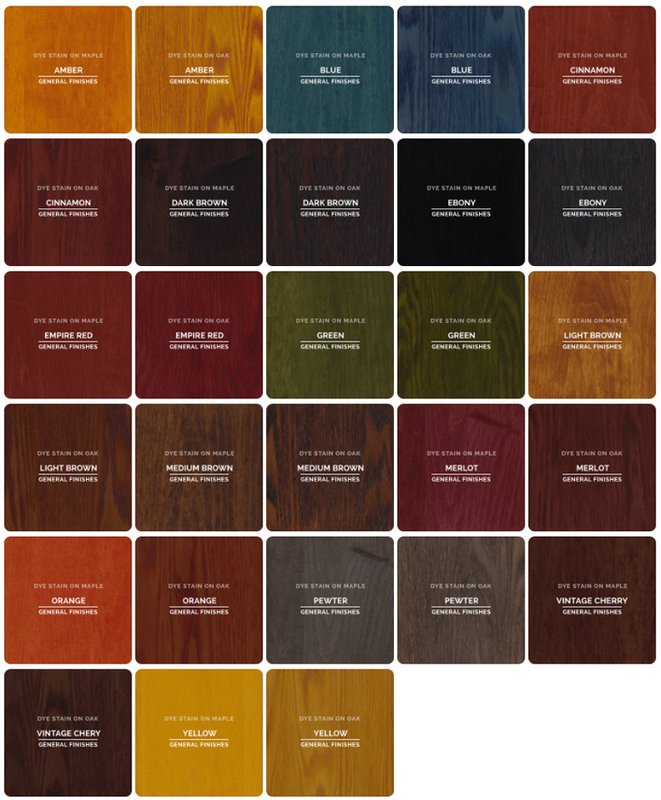 For these reasons, AudioRax LLC cannot be responsible for your stain choice.